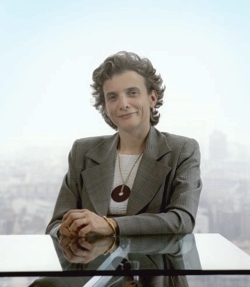 On January 18th, French President Emmanuel Macron nominated Marie-Laure Denis to take the head of the French data protection authority: the CNIL. This is the first time a French President is required to nominate a candidate for this position as foreseen under the reform of the French law on independent administrative authority adopted in 2017 under the Holland Presidency. Previously, the head of the CNIL was selected by its peers among the commissioners of the authority. This change of process raised concerns regarding the independence of the CNIL vis a vis the Presidency. Marie-Laure Denis’s nomination however needs to be confirmed by the National Assembly and the Senate. If confirmed, Marie-Laure Denis will take over the CNIL presidency at the beginning of February from Isabelle Falque-Pierrotin, whose tireless work for the promotion and advancement of data protection and privacy is recognised well-beyond the French borders. Marie-Laure Denis has previously worked since 2004 at the audiovisual and media regulator, the Superior Council for Audiovisual content (CSA), and previously worked as ministerial staff.